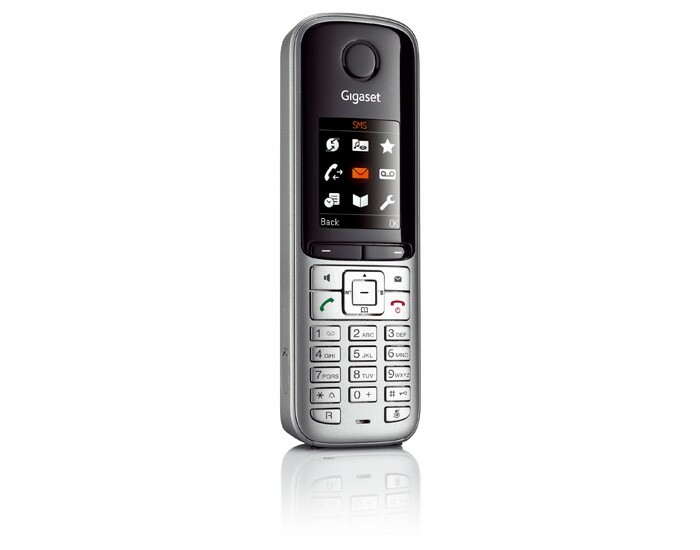 With its wide range of features and stylish design, the Gigaset S795IP is ready for both business and home users. It provides all of the latest VoIP features as well, enabling more cost-effective calls by way of Internet telephony, and a built-in answer phone provides enough memory for recording up to thirty minutes of calls. With the Gigaset S795IP, the user can switch between making landline and VoIP calls with the press of a button, and it is possible to carry out up to three phone calls simultaneously. No computer or other additional hardware is required for Internet telephony either. 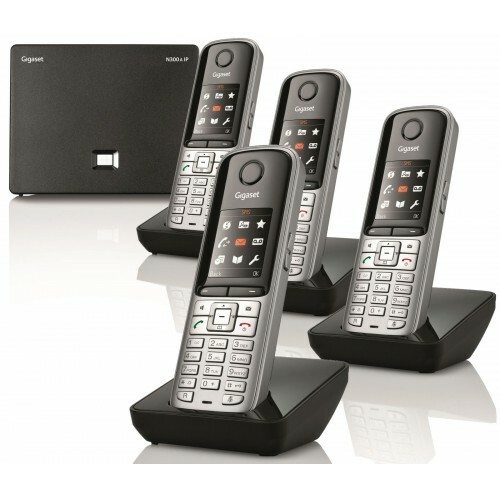 This cordless phone set provides a feature-rich answer machine which also supports fast-forward and rewind using simple controls on the base unit. It also includes a phonebook providing enough storage for up to 500 entries, all of which can easily be added, removed or updated using the straightforward controls and the full-colour TFT display. The Gigaset S795IP will not wake you up during unsociable hours either, thanks to the inclusion of a fully customizable 'night mode'. Ideal for both home and business use, this set provides a wide range of features and cost-effective calls thanks to the inclusion of Internet telephony (VoIP) technology.